As more and more people shop online, they run the risk of being victim to online fraud. Mastercard wanted people to feel at ease using their cards online with Zero Liability, a service built into every Mastercard that protects you against fraudulent transactions. 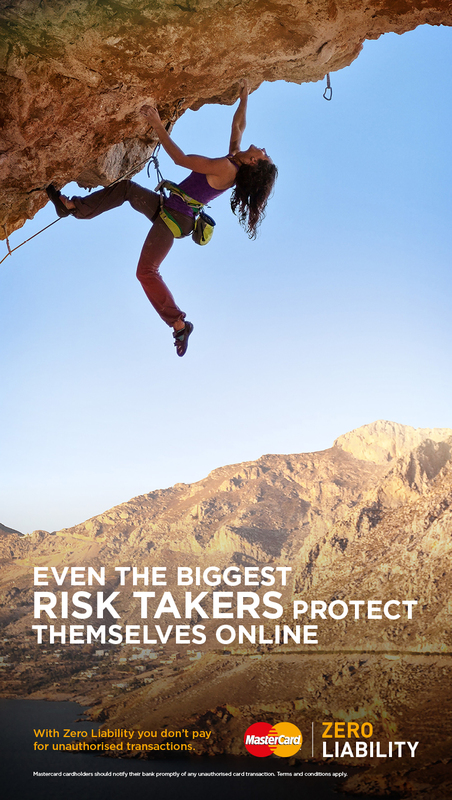 We knew bringing the problem to the forefront might reduce spending, so the messaging focussed on how even the biggest real life risk takers always stayed safe online with Mastercard. Social is filled with aspirational mountains and sweeping landscapes so we needed something to stand out in a cluttered environment. We used forced perspective techniques to add depth to our posts and make them more engaging. We also developed a multiple choice quiz to help people assess how risky they are. The quiz broke down behaviours and gave the participants a Red Balloon activity aligned to their risk level. Completing the quiz was the entry mechanic to win the Red Balloon activity.